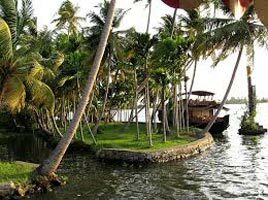 Welcome to Kerala “Gods own country”. Your vacation begins today. Upon arrival you are greeted at airport. Transfer to your hotel at Cochin. Take the opportunity to explore some of the local historic attractions at Fort Cochin & Mattanchery . The reminder of your day is at leisure. 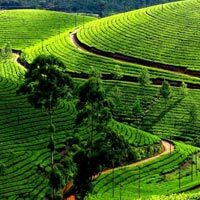 Leave Cochin the queen of Arabian Sea, explore the glits and glamour of Munnar the confluence of three mountain streams, 1600 m above sea level. 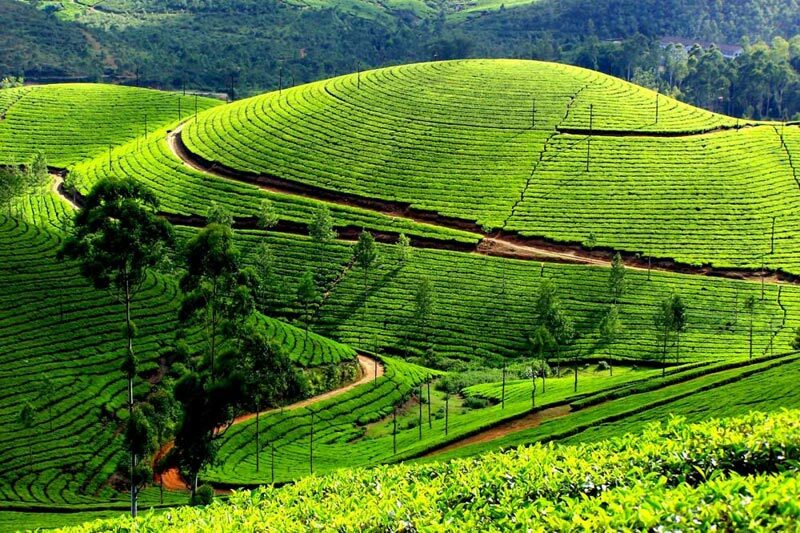 Sprawling tea plantations, picture- book towns, winding lanes and waterfalls, makes a unique sight for sore eyes and cure for sore minds. Enjoy the fabulous scenery. 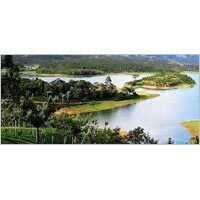 our scheduled sightseeing includes , Kundala dam, Top Station, Power House Waterfalls, Lock Heart Gap, Anayirankal, Pallivasal, Lock Heart Gap etc. 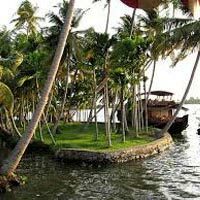 Visit Alleppey , the place of immense natural beauty, with its labyrinth of waterways, was extolled by travelers as the Venice of East. 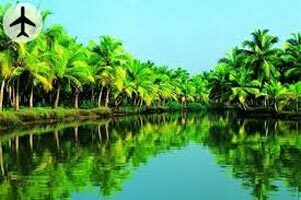 Discover the exotic land caressed by the Arabian Sea in the West and the vast network of lakes, lagoons and fresh water rivers criss-crossing it. Stay in a fully furnished exotic houseboat, which takes you in the serene and stunning beauty across sun- dappled back waters. While your eyes explore the rustic life that floats by; treat your plate to backwater delicacies prepared by your own personal chef.Overnight stay at houseboat. Start the day to witness splendid panoramic view of Sandy and Exotic Kovalam Beach. Its an internationally renowned beach which offers a variety of activities including snorkeling, catamaran rides, sunset viewing, cycling on the beach etc.Visit Trivandrum, the city is home to many ancient places. Sightseeing focuses on the city’s most prominent landmarks, such as the historic sites like padmanabha swamy temple, Horse Museum, Napier Museum & Art Gallery.Overnight stay at Kovalam Beach resort. 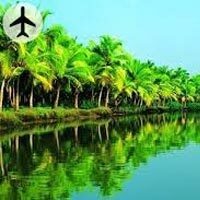 After breakfast check out from the Hotel and drive to Trivandrum Airport / railway station (depend on your departure place) for your flight / train back home, feeling contented about a wonderful holiday you spent in the God's Own Country. ~^#^~~^#^~ Package valid only for Indian nationals. Non-refundable booking fee of Rs.3000 required to confirm/ hold the booking. Air tickets and hotels are subject to availability. It is mandatory for guests to present valid photo identification at the time of check-in. The identification proofs accepted are Driving License, Voters Card, Passport, Ration Card. Without valid ID the guest will not be allowed to check in. Note-PAN Cards will not be accepted as a valid ID card. All transfers and sightseeing are as per the Itinerary/package and in case of Air Conditioned vehicles, It will be switched off in the hills. The inclusion of extra bed with a booking is facilitated with a folding cot or a mattress as an extra bed. Early check-in or late check-out is subject to availability and may be chargeable by the hotel. The standard check-in time is 1300hrs and the standard check-out time is 1000hrs. Any kind of personal expenses (Laundry, room service etc..) or optional tours/ extra meals are not inclusive in the package cost. The hotel reserves the right of admission. Accommodation can be denied to guests posing as a couple if suitable proof of identification is not presented at check-in. Arihant tours will not be responsible for any check-in denied by the hotel due to the aforesaid reason. In case of non-availability of above mentioned hotels similar category hotel will be provided. Arihant tours reserves the right to change/modify or terminate the offer any time at its own discretion and without any prior notice. Copyright © 2012 Arihant Tours. All Rights Reserved.